“We have three games that we want to take points from and if we do that then we will be fine. Match Sponsors from Saturday`s match against Falkirk. Pars punished for not taking their chances: Lee Ashcroft feels the game should have been won before Falkirk had their chance. “There is still more to come, especially after what the fans saw in the first half on Tuesday night. I thought I played well, made an impact and I should have scored as well. 11/04/19: SC - “With all due respect I am more concerned about getting the result that we need. Whether it is Falkirk or whoever, we have to focus on applying ourselves properly. First Hall of Fame inductee to be announced on Saturday. All your match day information ahead of Saturday`s derby match. SPFL Reserve League: Alex Penny (27) 0-1; Marios Ogkmpoe (30) 0-2: Dougie Imrie (43) 0-3: Alex Penny (49) 0-4. Ladbrokes Championship: (away) v Ross County, Tuesday 9th April 2019, kick off 7.45pm at the Global Energy Stadium. 08/04/19: “We are not going trying to just come away with a point, we have to go for it. Louis Longridge - ”Everybody is capable of beating each other in this league so we will not stop believing that we can get to the play offs. Dan desperate to be more consistent over both halves and to turn his chances into goals. Voting is now open in a number of new categories this year. The final of this season’s Young Pars Penalty Kick competition was held at half time in Friday night’s Championship match against Ayr United. Ladbrokes Championship: Friday 29th March v Ayr United, kick off 7.05pm at East End Park. League season hospitality sold out for the remainder of the league season. All your match day information ahead of Friday night`s match. Link to audio of both Stevie Crawford and Robbie Neilson’s post match comments. Soccer FM Hospitality v Ayr United - Sold Out! Join Soccer FM duo Steven Mill and Ray Bradshaw in hospitality for a night of special guests and footballing banter. The Hall of Fame is Back! The DAFC Hall of Fame, which was started in order to recognise some of the football club’s greatest servants and heroes, is making a comeback in April. Club Statement following today`s waterlogged pitch. Supporters`information ahead of Saturday`s match against Dundee Utd at East End Park. Stevie picks up award following three wins out of four during February. The much anticipated second part of the Stevie Crawford Podcast. PST investment reaches Quarter of a Million pounds! Match Sponsors from Saturday`s match against Queen of the South. When I came in I didn’t think that it was downbeat at all really but now after four wins on the bounce we are all flying and ready to go again. Ladbrokes Championship: Saturday 2nd March 2019, kick off 3.00pm at East End Park. Danny Devine:- “We have bought right into his ideas in terms of what he wants to do and what he wants us to do out on the pitch. Ladbrokes Championship (home) v Partick Thistle, Tuesday 26th February 2019, kick off 7.45pm at East End Park. Join us against Queen of the South as Ladies Day returns with guest host Amy Irons. 25/02/19: SC - “they will see themselves too close to the bottom of the table again. It is important that we are ready for that. Louis Longridge self appointed penalty king sealed the three points for the Pars in Saturday’s away game at Ayr. 21/02/19: SC - “Just because we won a game of football it doesn’t mean that we will necessarily go with the same eleven. Hospitality for the Championship match against Partick Thistle on Tuesday 26th February is now on sale. Former St Johnstone player and coach Callum Davidson added to Stevie Crawfords management team. SPFL Reserve League: Lewis McCann (18) 0-1: Lewis McCann (35) 0-2; Ross McIvor (36 pen.) 1-2: Gregor Jordan red card (47): Ben Johnstone (73) 2-2: Joel McBeath (84) 3-2. Memories shared as new montage unveiled. 10,000 litres of oil purchased for the undersoil heating. “That’s my first couple of weeks back and under the new gaffer, and he’s shown that he trusts the young boys and he trusts me. “We have to be cool headed with fire in the belly but ice in the head. Stay composed but still have that competitive edge. Ryan Scully confessed that it was brilliant to be back at East End Park and training was like the first day at school all over again. 24/01/19: SC - “If they go out as an individual on Saturday, running about trying their hardest but taking themselves tactically out of what they are meant to be doing and Morton cause us problems because of it, that is not what we need. “It is disappointing but we have to take our chances when we are on top. “They’ve got a good team now and we can’t go down there thinking that just because we’re in the league above we’re going to go and run all over them. “I said these kind of opportunities don’t come along very often and I asked ‘can I go’? 14/01/19: SC - “Ideally we want to get players who are banging on the door and have supporters come and watch them playing at East End Park. “We definitely switched off at the goal, everyone can see that. The lad knows that he has switched off as well, he was talking to the referee. 10/01/19: “Every manager has a shelf life and the end of the day we just feel that we needed fresh energy that maybe can bring some different ideas into the team. Stevie Crawford joined by Greg Shields as DAFC announce new footballing structure. Dunfermline Athletic Football Club wish to announce that it has today sadly parted company with Manager, Allan Johnston and Assistant Manager, Sandy Clark. “I wouldn’t say at 2-0 up that we felt that it was job done but you are well on the way to thinking that it’s well on the way to being job done. 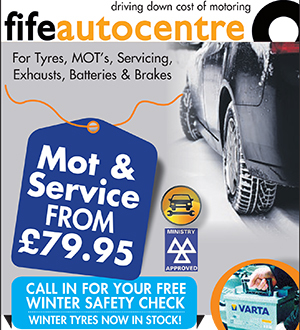 Dunfermline Athletic were pleased to welcome Fairley`s Garden Centre to East End Park, as Match Sponsors, for Saturday`s match against Alloa Athletic. Ashton meets the right team! Young fan has a special day out after Rovers visit! Ladbrokes Championship: same again Pars starting eleven. Aidan Keena (18) 1-0: Iain Flannigan og 28) 2-0: Alan Trouten (49) 2-1: Alan Trouten (90+3) 2-2. “It was a brilliant week for me and nice to end it with three points from beating your rivals. 03/01/19: AJ - “When you score so many goals and look a threat I’m sure that it will give the team loads of confidence. Supporters`information ahead of Saturday`s match against Alloa Athletic at East End Park. Chairman thanks the fans following the win over Falkirk. Ladbrokes Championship: (away) Saturday 29th December 2018, kick off 3.00pm at The Falkirk Stadium. 27/12/18: AJ - “There is a whole team that is not scoring enough goals. The large part of the responsibility falls on the strikers but we need to make sure that we give them supply as well. “We played a top, top team. They were top of the league and we more than matched them. In my opinion, I believe that we were the better team. The 1885 Business Club bring you a night to remember! Supporters` information ahead of Saturday`s match against Ayr United at East End Park. DAFC have some brilliant Christmas gift ideas available to buy now! 4 years of fundraising in the community. 13/12/18: AJ - “We were encamped in their half for the majority of the game, we just couldn’t get that decisive goal. SPFL Reserve League: Kallum Higginbotham misses penalty (13): Cammy Gill saves penalty (57): Rory Currie (90) 0-1. “When you don’t score you just keep thinking and thinking what I need to do. 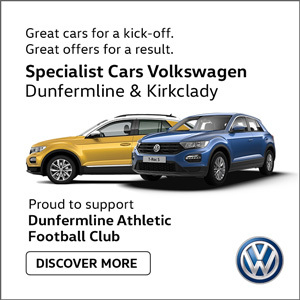 Match and Match Ball Sponsors against Greenock Morton. New stock of the popular away kit now available. “It was just two mistakes from set plays that killed us. Supporters` information ahead of Saturday`s match against Greenock Morton at East End Park. The Pars Supporters Trust continue to back the team. “We will take the luck when it comes but hopefully we won’t need luck and we will be good enough to put the game to bed. Pars captain confident away form can continure against County. Welcome to Episode 7 of Black and White Noise, the official podcast of Dunfermline Athletic Football Club. “You dream about that as a kid, standing in the shirt and it is something that I will try my hardest to get a bit more of. Congratulations to Pars keeper Cammy Gill who was capped for Scotland tonight as they took on Turkey in an International Friendly. Lewis McCann played the full 90 minutes v Poland and started again in Saturday night’s match v Serbia. Our popular Mid Season Tickets are on sale now and they are a great Christmas present! Match and Match Ball Sponsors against Falkirk. 08/11/18: AJ - “Falkirk need the points and I don’t think their fans will stand for them sitting in and hoping to get a draw. 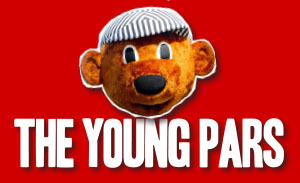 Supporters`information ahead of Saturday`s match against Falkirk at East End Park. Reserve League Cup: Kallum Higginbotham (48) 1-0: Robbie Muirhead (76) 2-0: Lewis Sawers (89) 3-0: Brandon Luke (90) 4-0. Meeting called for 22nd November 7pm. The Pars United CIC AGM for has been set for 22 November, at 6.50pm. The AGM for DAFC has been set for 22 November, at 6.45pm. “Given the way we have started the season three points are even more precious now. 01/11/18: AJ - “It is just trying to find the blend that works - stopping goals at one end and scoring goals at the other end. Match and Match Ball Sponsors against Dundee United. “When somebody makes a mistake it is about pulling them out of jail. 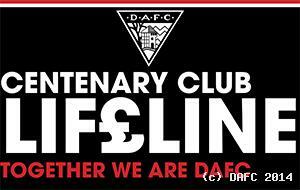 Dunfermline Athletic are delighted to announce over £10,000 was raised during last night`s Black & White Ball. Ladbrokes Championship: (home) Saturday 27th October 2018, kick off 3.00pm at East End Park. “Whatever happens in the future will happen but my personal feelings for this club definitely made it easier for me to turn round to the chairman and say that I was going to honour his handshake. 25/10/18: AJ - “We have to start punishing teams especially at home because that has been a problem.